One of the first pioneer projects of what would eventually become the architectural program of the theaters-cinemas of the 1920’s in Mexico was the Olimpia Cinema (whose original construction dates 1916), re-opening its doors to the public on 1921. With a capacity of 4,000 seats, it hosted two ballroom salons, a smoking room, two halls and a Wurlitzer pipe organ. 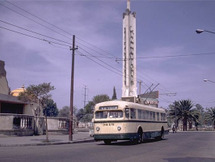 Located on the City’s historical centre, it became the stage where Carlos Chávez, Agustín Lara and Manuel Esperón came to musicalize mute films. The Olimpia was one of the first theaters with sound, and projected the first ever sound film, Alan Crossland’s The Jazz Singer in 1927. After 1920, the Mexican Cinemas maintained a uneven race against the growing popularity of the Hollywood films. From the Olimpia, XEW started radio transmissions in 1930. 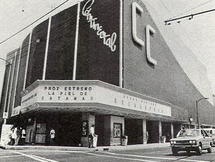 By 1941, the theater was remodeled by Carlos Crombé, and remained like that until 1995 when its was fragmented into multiple theaters and then ended operations in 1999.